On another page can be found an account of Huddersfield Hall of Science. [ https://undergroundhistories.wordpress.com/huddersfield-hall-of-science/ ] While writing this I became aware of the importance of George Brook and his son in the early socialist and radical movement. I was also aware of their role in local manufacturing and had accumulated several references to Larchfield Mill, founded by the younger George. Meanwhile, my interest in natural history had led me onto the younger George’s son,another George, who was involved with Huddersfield Naturalists’ Society and also the Yorkshire Naturalists Union. I was therefore delighted to receive an inquiry from a descendant of the Brook family who provided me with new detailed information and some fascinating photographs, along with a request to carry out further research. I am therefore endebted to Ben Blackden and the Brook descendants for the prompting which led to this essay and also for their kind encouragement and support. The Brooks’ story is an extremely important addition to the history of Huddersfield covering, such varied aspects of politics, social and industrial history, and popular science. Born in 1803, George had a good education by local standards of the time since he went to boarding school at Honley until he was 16. However, the Brooks were clearly not too well off to expect George to make his own way in the world. He was apprenticed as a dyer at Alexander’s works at Folly Hall, until he was aged 21. (Alex Alexander, who also had brewing interests, was one of the many local casualties of the bank crash of 1825 becoming bankrupt in 1826, perhaps this is actually when George left). 2 According to his obituary George was ‘an adept in his business’ and was clearly apprenticed not just in the techniques of dyeing but in all aspects of running a dyeworks since in his next position at Messrs Starkey’s factory at Longroyd Bridge he rose to foreman. The Starkeys were in the process of expanding their woollen factory to become the biggest in the town. It was only a few hundred yards from Alexander’s works at Folly Hall and George and his family would very likely be well known to his new employer. This profile of George’s early years presents us with an unanswered question which is central to understanding the intellectual development of the Brooks and which changed the course of the family’s history. Why did someone from a respectable, church-going and at least comfortable background, who had fine career prospects and the patronage of the Starkeys, (one of the leading manufacturing dynasties of the town and part of its conservative political establishment), adopt such radical views? Views which were considered by most people in the social circles from which he originated to be dangerous and revolutionary. By 1830 he was married to the daughter of William Dawson, a butcher and hotel keeper at Paddock, and was embarking on family life with the birth on 8 June 1830 of George jun, which also should have been grounds for caution3. 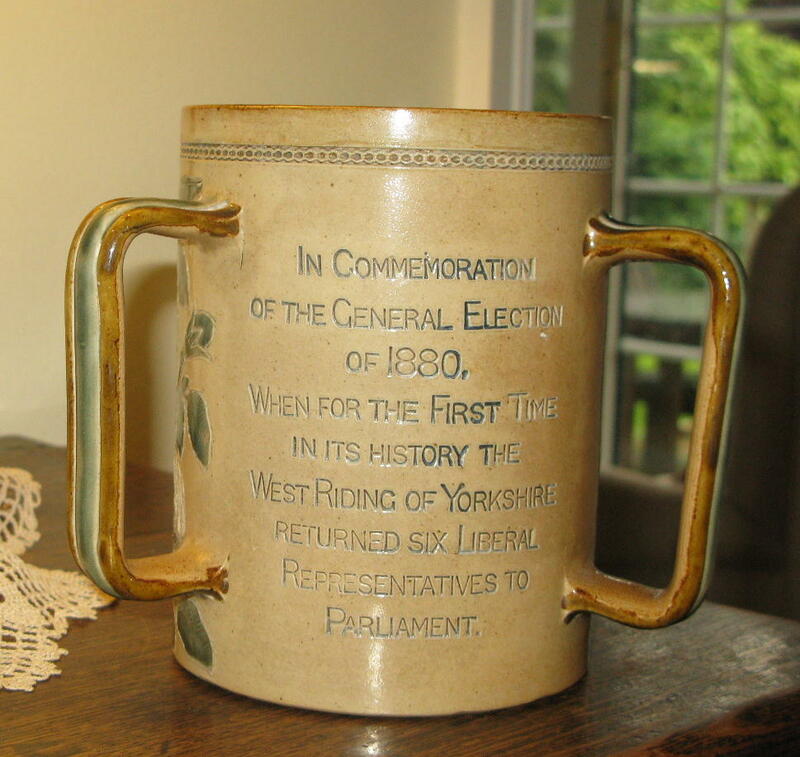 Nevertheless, the obituary says he was one of the ‘originators’ of the Voice of the West Riding (VWR), an unstamped, and therefore illegal newspaper established in 1833 which championed every working class cause, including the radical reform of parliament, co-operation, Factory Reform (for the Ten Hour Act) and trade unionism. George must have been on close terms with the paper’s editor Joshua Hobson, who was jailed for his activities and who remained prominent in Huddersfield’s political affairs, although he turned coat to become a Tory around 1850. A George Brook occurs in the VWR of 10 Aug 1833 on the list of subscribers to the ‘Victim Fund’ to support those prosecuted for fighting for a free press. 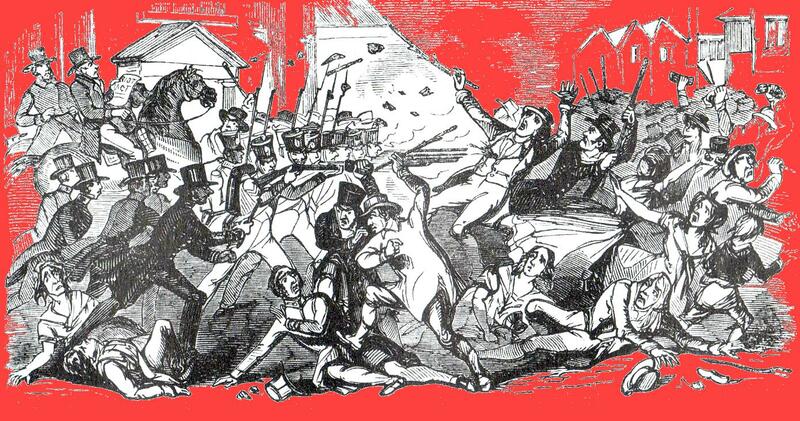 This was the time of the national agitation for parliamentary reform which saw rioting in some parts of the country and raised the spectre of revolution. It was also a time of industrial unrest as workers tried to recover their living standards after the depression of the late 1820’s. The Starkeys were one of the firms who resisted trade unionism and consequently were slated in the VWR. In December1833 it criticised them for posting a notice warning of instant dismissal for any workers who absented themselves from work to attend a public meeting of the radical candidate in the elections. George’s name does not appear among those speaking at such meetings, or on any public platforms, but since his obituary says ‘he was very reserved in many respects’, he possibly preferred working behind the scenes. Whether this reflected some degree of tact and compromise with the responsibilities of his social position can only be surmised. However, despite this reticence, he played a key role in establishing one important working class institution, which did bring him to the notice of his employer. When and why he became attracted to the ideas of the Socialist Robert Owen is again unknown. In its brief existence the VWR acted as a platform for local Owenists whose main preoccupation in 1833-34 was the establishment of a trade union which would take over the running of industry itself on cooperative principles and thus ameliorate workers’ conditions. This was crushed by lockouts in 1834. The emphasis then shifted to establishing Owen’s ‘New Moral World’, where common ownership of the means of production and equality of all, including men and women, would form the basis of society. This was to be done by establishing communities based on these principles and also by building ‘Halls of Science’ where Owen’s fiercely secular ideas were propagated to local congregations of Socialists, with services, hymns and rituals very much modelled on non-conformist chapels.4 George’s obituary confirms that he was ‘one of the promoters’ of Huddersfield’s Hall of Science, a building which still stands today, perhaps the last remaining in the country. In fact he helped obtain the land on which it was built. The deed of conveyance for the five hundred and seventy square yard site, part of a field known as ‘the pasture’, off Bath Street, (then surrounded by fields at the northern edge of the town, just outside the Ramsden estate) was finalised on 1 August 1839 between George Brook, dyer, Huddersfield, Richard Smith Jackson, dyer of Paddock and John Platts, cloth dresser of Lowerhouses and the managers of the Hall of Science. 5 The foundation stone had already been laid on 2 April and building was well underway although the official opening had to be delayed from 22 September to 3 November. It is likely that George, behind the scenes man or not, would have attended such an important event in which he had played a key part. The Hall of Science was also burdened by a combination of debt and falling membership. The 1840’s, saw both the decline of Socialism and Chartism due to persecution, increasing economic hardship and growing disillusionment that society could be changed, politically or economically. One consequence of this was a rift between Joshua Hobson and the socialists. What George’s relationship with him was by this time we don’t know. Many leading activists emigrated, including Chris Tinker of Huddersfield who left to try and establish a socialist colony in Wisconsin. In 1844 the Hall was actually advertised for sale but some rescue plan was devised. George remained one of the title holders to the property since he appears on an indenture signed on 10 March 1845. But whatever this arrangement was, it only postponed the inevitable, being leased and then, in 1853, sold to the Baptists. George is again named on the conveyance of the property, registered at Wakefield on the 12 May 1853, but whether he financially benefited from this or whether the whole affair had instead been a drain on his finances is not apparent. However this disappointment in his political aspirations was offset by developments in his business affairs. 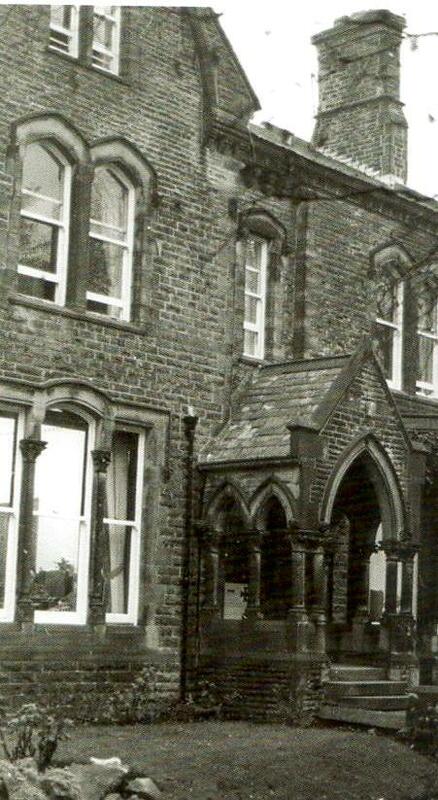 Around.1847 his partnership was dissolved and he set up his own dyeing concern at Folly Hall. By 1851, now aged 47, he was living at East Parade and is described in the census as a woollen dyer employing 10 men. His son George was still at home and is also described as a woollen dyer. It was about two years after this that George Snr built a new dyeworks at Colne Road. When he retired is not clear. It may have been as early as 1861 when, now living at Marsh, he described himself in the census as ‘Gentleman’. The following decade he declared himself to be a ‘retired dyer’ and was now residing at ‘Elmgrove’, Edgerton, the expanding suburb to the north of the town where the town’s prospering manufacturing and professional classes built large houses and villas. He enjoyed another ten years of retirement. Shortly before his death he transferred land and a house he had built at Edgerton to George Jun, with the provision that owing to ‘the natural love and affection George Brook the Elder bears towards his wife Sarah Brook…’ she was to be granted the right to live there for the rest of her life9. However, in 1884 the residence of the late George Brook Snr, at Murray Rd, Edgerton was advertised to let, probably indicating that Sarah had passed away. 10 George Snr appears to have been a good natured man who reconciled his socialist beliefs with his role as an employer. ‘He was always ready to assist working men either by giving them advice or lending them money’. Despite suffering from headaches for the last thirty years of his life, his ‘very cheerful disposition…aided him many times in tiding over temporary difficulties’. After three years of ill health he died on 22 December 1880. Like many former Owenites George channelled his interests into the secular movement which also attracted former Chartists , Republicans, co-operators and advocates of various progressive causes. They were organised around the journal ‘The Reasoner’ and, both George Brooks appear among the subscribers to the Committee of European Freedom listed in the issue of 8 December 1852. For the first time they appear together as ‘sen’ and ‘jun’ . Each donated 2s/6d to this fund which was to help the exiled liberal nationalists Kossuth and Mazzini in their struggles to liberate Hungary and Italy following the defeats of the revolutions of 1848. Henceforth, George Jun appears to have been the most politically active. He was certainly more prominent in public life than his father. George Brook Jun. – Radical Liberal. Among the allegations that Starkey treated his workers badly was the account of the dismissal of the Socialists for their ‘speculative opinions’. More hard to sustain was the accusation that he had so persecuted one of his employees of 14 years service that he had died of madness in an asylum. The magistrates court at the Guildhall was crowded with supporters of both sides. Sidney Kelshaw an apprentice to Moore identifies George Jun as one who had given the order for 150 double crown bills (poster size) and 1,000 crown quarto (handbill size) although only the double crowns were actually printed. He was bound over to appear at York Sessions on £100 bail put up by his father and by John Brook, registrar, who may have been his uncle. This meeting, like the earlier one where he had prepared a detailed account of Palmerston’s career, shows that George didn’t indulge in mere rhetoric but liked to present a factually argued case. His speech was frequently interrupted by applause and cries of approbation on both occasions, attesting to his popularity. In 1854 George Jun married Grace Farrar, daughter of John Farrar at St James chapel Slaithwaite. 16 Although in the 1841 census John is described as a ‘shopkeeper’ he was in fact a scribbling miller, in 1834 employing 44 people at Bankgate Mill, (near the canal reservoir) powered by a 10hp water wheel and a 12hp steam engine, scribbling, carding and slubbing wool for small clothiers who would then weave it in their own homes, or those of employed weavers. 17. The obituary describes his business as a ‘marvellous success’. The conversion of production from woollen to worsted saw a rapid expansion of the firm. By the 1881 census, although George jun was not at home, his son Georger ‘ter’ (short for ‘tertius’, the third) is entered as a ‘worsted manufacturer employing 750 workpeople’ . George Brook ter was certainly taking an active role in running the mill. The firm, (despite paying above average wages), was embroiled in the great Huddersfield weavers’ strike of 1883, when 5,000 men and women came out in protest against a new pay scale announced by the Manufacturers’ Association, which threatened to reduce their wages. George ter was on the employers committee which met representatives of the Weavers’ Association in the Municipal Offices, Ramsden Street on 10 March. He was clearly frustrated with the union’s approach, stating dismissively . ‘They were there to try and agree and they never would do so if they did not approach the subject in a spirit of fairness. He complained of the weavers selecting the highest wage firms in the district for illustration and said that, if that was the spirit in which the base of the scale was to be tackled, personally he should have nothing whatever to say to them’. George jun’s obituary records that the mill was enlarged several times. It grew to include a main five storey mill, (55 by 16 yards), four three storey buildings, a two storey weaving shed, warehousing and office space, as well as the engine house, boiler rooms and 130 foot square stone chimney. When it was sold in 1901 it was powered by three boilers driving two vertical steam engines, which were probably the original ones installed. The total frontage to Firth Street was 475 feet. There was also a finishing mill at the other side of the road. Another incident at the mill in 1868 also connects us with a different facet of George Jun, one which had an important influence on his son, George ‘ter’s’, direction in life. In July Patrick Hopkins of Paddock was charged with stealing a brass steam engine indicator from the engine house. The former engine tenter, now employed at Fenay Bridge Mill, was called to identify the indicator, (which had been deposited as security to buy drink at a pub), as the one from the mill. This man was Henry Mosley, son of James Reid Mosley, who was well known to George Jun. 31 An account of this friendship was preserved by Seth Lister Mosley, JR’s other son, who was to become one of the area’s leading naturalists and the curator, first of his own museum near Beaumont Park and later the council’s new museum at Ravensknowle. James Reid Mosley, naturalist and secularist, photographed by George Brook jun. JR, by occupation a joiner and sometime handloom weaver, was the best bird stuffer in the area and ‘cased up’ specimens for collectors, who often visited his house at Almondbury Bank to see how work was progressing. George Jun’s obituary records that he ‘was a good shot’ and like many gentleman of his time probably brought down anything which came in his sights – trophies which the elder Mosley preserved for him. He does not seem to have had such an extensive collection of birds as some other local manufacturers, but from what Seth Mosley tells us he had a genuine interest in nature. He also had an interest in photography, indeed, his obituary describes him as ‘the cleverest amateur photography we ever knew…’ and he succeeded in persuading JR Mosley to sit for him – the only photo he ever had taken. Seth later used this portrait as the frontispiece of his ‘Birds of Huddersfield’ which was published in 1915 and dedicated to his father. Seth also recorded that JR, who was also literally a poacher turned gamekeeper, kept game for George at Heaton Lodge Woods, where he had a hut in which Seth sometimes stayed as a child in the 1850’s. Seth mentions that George was known as ‘Robin Hood’ and his shooting companion John Eastwood as Little John. Does this refer to George as a champion of the poor? George also took an interest in Seth, encouraging his artistic leanings, advising him to make a living painting game portraiture. He also promised in later years to bring back a ptarmigan from Mull for Seth’s collection of birds, but died before he could fulfil his promise32. There was a further link between the families. JR Mosley was also a keen secularist. Seth recalled that as a child he went with him to town to collect his ‘National Refomer’, although at this time it would have been the ‘Reasoner’, the same journal the Brooks supported. 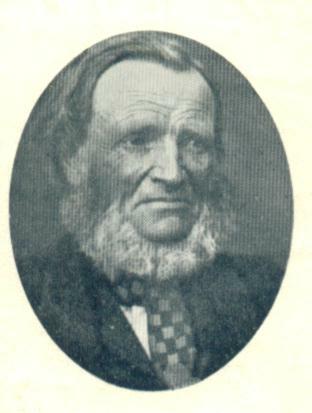 George Snr’s obituary records that he remained ‘an ardent secularist and advocated that children should be educated in matters secular on Sundays as well as weekdays.’ Seth had exactly this kind of secular upbringing and played a prominent role in the Huddersfield Secularist Society and Secularist Sunday School in the 1860s. There is no doubt that George Jun’s likeminded friendship with the Mosleys fuelled his own interest in natural history which he then passed on to his eldest son George ‘ter’. George Jun managed to combine running his business with the usual gentlemanly pursuits of shooting and fishing as well as the more exotic sport of sailing. He cruised the west coast of Ireland and Scotland in his yacht the Dotterell, photographing the sights, although he never brought back to Seth Mosley his promised ptarmigan. However, he did make it to Norway and in 1885 he published a limited edition book called ‘Our Trip to Norway’, including many photos, a copy of which he sent to Gladstone, who responded with a letter of thanks 33. He clearly had more leisure time than his father’s generation. But his eldest son did not have the same interest in industry as himself, or his father. George ter, as he was frequently referred to, ‘ displayed a far greater interest in his scientific work than he did in the woollen trade…’ 34 – an interest in which he had his father’s full support. Also in December this year he became a joint Hon. Sec. of the recently formed Yorkshire Naturalist Union, (YNU) and was at the HNS meeting in May the following year where it was decided to affiliate to the YNU. 38 At the YNU meeting at Wakefield in October he read the report in his capacity as Joint Hon.Sec. His address was given as Fernside, Huddersfield, as it was the following year when he exhibited the ‘wing scales of butterflies’ at the HLSS annual microscopic soiree. At such events he regularly used his sobriquet ‘tertius’, usually abbreviated to ‘ter’. 39 George was secretary of the society’s biological section. The HLSS was more middle class in composition, whereas the HNS was founded by working men, although it did have manufacturers and merchants among its members. There was much interchange of members and ideas between the different organisations, which George ter. typifies. In the HLSS Annual Report of 1879 it was announced that he was to give elementary science lectures, beginning the following year with a series on biology. He was also elected vice president. 40 He was clearly held in high esteem, despite his youth and had by now become a FLS, a Fellow of the select Linnaean Society. On 3 November 1880, in his capacity as secretary, he was part of a delegation from the YNU which visited Charles Darwin at his home in Down, Kent, to present a memorial printed on parchment in a Morocco leather case celebrating the ‘coming of age’ of Darwin’s ‘Origin of Species’41. Accompanying him on the deputation were W. Cash, F.G.S., and J. W. Davis, F.L.S., F.G.S., from Halifax who, along with Hobkirk and one or two others including George, had formed a ‘close club’ called the ‘bios’ dedicated to researching the biological sciences. 42 In 1884 the HLSS was subsumed under the Technical School where they now held their meetings, effectively ending their independent existence. At the last meeting George, in the chair, agreed with the move, saying they could do more good by being part of technical school43. Sometime this year he found time to travel to a conference in Canada. At the end of the year he accepted an appointment with the Scottish Fishery Board and the Naturalist announced in March 1885 that ‘[YNU members]…will also be interested to note that their former secretary, Mr George Brook, ter, FLS, who has carried on biological investigations for some years past by means of his well equipped and large private aquarium at Huddersfield, has been appointed naturalist to the Fishery Board for Scotland, in which capacity his duties will be to study the life history and development of food fishes.’44 His Examiner obituary records that his father assisted him ‘in the construction of one of the best aquaria in the kingdom, with special pumping and aerating apparatus designed by himself…’ which he used to keep the marine creatures he was studying. This remained at the family home at Fernbrook at least up to its sale in 1908, when it is described as ‘brick built’ and so was something more than a mere fish tank !45 Hobkirk credits him with being the discoverer, (with the help of Hobkirk), of the cause of a mystery disease which was affecting salmon rivers all over the country in 1878.46 It was found to be a hitherto unknown micro fungus on which George published several papers including one in the journal of the Royal Society of Edinburgh. He also studied crustaceans and published reports on corals from the Challenger expedition. He was eminently suited for his new job, but due to some disagreement with a colleague he resigned in 1887. However, he had a lectureship in comparative embryology at Edinburgh University to fall back on. By now he had a wife to support, having married Fanny Elizabeth Scott, daughter of Walter Scott Their first child Dorothy was born, in Scotland, on 16 November 1888 47. His father died earlier that year, 29 January, from a heart attack. Although he had been ill for several months he continued to go to the mill and warehouse. When the end came he was at home sat peacefully in a chair in front of his wife who saw no signs of distress. George ter. returned home for the funeral at Edgerton Cemetery, where the service was conducted by a Unitarian minister. Perhaps George Jun had revised his secularist beliefs, although the Unitarians were considered the most rationalist of the denominations and several secularists later adopted the creed48. He was buried close to the plot of his father and mother. The heart condition may have been inherited, since George ter suddenly died in similar circumstances only five years later, whilst he was at dinner at the shooting lodge of his father-in -law at Allendale in north Yorkshire. It was the ‘glorious twelfth’ of August, he had appeared in the best of health that day and had ‘been shooting in his best form.’ His second daughter, Kathleen Grace had been born only a couple of months before on 14 June 1893. His work on the Madreporarian Corals in the British Museum, which he had illustrated with his own photos had also only recently been published. Not only his family but his colleagues felt bereft. ‘In Mr Brook science morns a master and we a friend’, lamented C.P Hobkirk. John Grant Brook – end of a dynasty. Since George ter had shown no interest in business, the running of the mill after their father’s death devolved onto the younger brother, John Grant Brook, born in 1866.. How ‘hands on’ his management of the mill was is hard to tell and there are certainly signs that the regime at the mill had changed, although the firm continued to be entitled George Brook Jun. In 1889 worsted spinning machinery was sold, whether this was to make way for new or whether this part of the process was cut back is not clear 49. But by 1891 relations with the workers had certainly deteriorated. In January the firm proposed to reduce male weavers pay to female prices and threatened to stop the looms if they didn’t accept. In turn the weavers demanded the same pay scale as that used by the large firm of Crowthers. In May two woman weavers claimed in the Court for wages of £1.3s.6d.owed to them for a piece they had worked on for 46 hours. 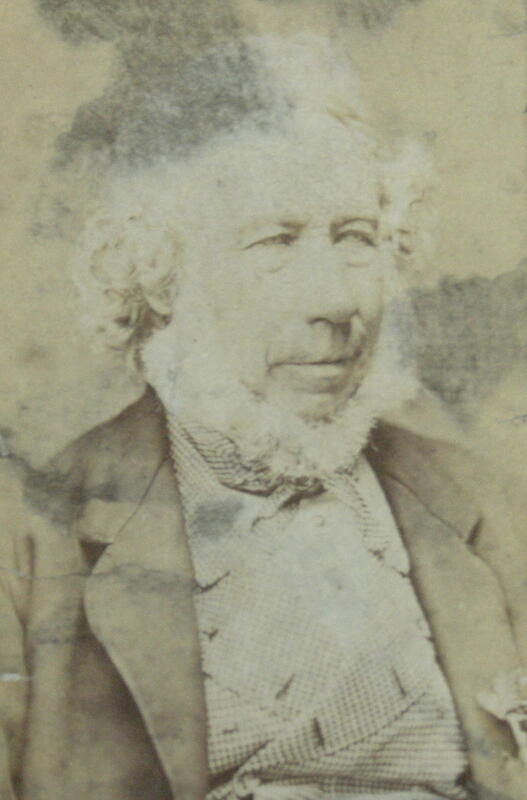 The mill manager, James Cairns, lodged a counter claim for damage to cloth. It was claimed that 33 defective pieces had been found after they were dyed. However, according to the menders there had been no damaged cloth for at least seven years. ‘It was ultimately agreed that the matter should be referred to Mr Josiah France as umpire…’. (France was a leading fancy worsted manufacturer in the Huddersfield area).50 This incident reveals that there was some management problem, either affecting labour relations or the quality control of the pieces. The 1890s were a very difficult time for the textile trade due to increasing foreign competition and tariffs shutting local manufacturers out of US markets. Perhaps a combination of economic conditions and management problems were putting extra pressure on the firm – or was John Grant Brook swindled as family tradition maintains ? In 1891 John G, aged only 24, was still living with his mother Grace at Fernbrook and is described as ‘worsted manufacturer’. A decade later he is described as a woollen, rather than worsted, manufacturer. If this is not an error it appears that the mill had undergone a change in production. George jun’s obituary described how he used to drive to the mill or warehouse every day. Perhaps this was not the sort of humdrum existence John wanted and he was not happy bearing the responsibility of the family business. His elder brother George had, after all, been allowed to pursue his scientific career instead. It may be that John just wanted to divest himself of the responsibility and become a gentleman of leisure, pursuing his other interests such as billiards. For whatever reason, by early 1901 the mill was up for sale. The advert of the auctioneers, George Tinker & Sons, stated that ‘Messrs George Brook junr’ were ‘retiring from business’. The mills were sold in three lots. The main complex; the group of buildings opposite between Firth Street and the river Colne; and the dyehouses, warehouse , cottage, and stables etc on Colne Road52 . The machinery was sold separately and included scribbling, spinning, winding, weaving and finishing machinery along with warehouse and office furnishings and effects. Whoever purchased the main mill spent ‘a considerable amount of money’ in 1904, installing two new boilers and a modern tandem horizontal engine with rope drive, along with new gearing, shafting and other alterations. This was sold again in 1906 when it had three tenants, Jos. Greenwood & Son, Shaw Bros.Ltd, yarn spinners, and Richard Mellor & Co, worsted manufacturers occupying a total floor space of 12,000 square feet53. However, two years later, on the occasion of a fire at the mill occupied by Mellor & Co at the other side of the road, Shaw Bros Ltd was still in occupation of Larchfield and were reported to be the owners of Mellor’s premises. Possibly they now owned Larchfield as well. The mills were so close that the Larchfield workpeople were able to direct a jet of water from a hose plugged into the mains in the mill yard into the burning building54. John died in 1939 leaving four daughters but no male issue. It was just one century on from the founding of Huddersfield Hall of Science in which his grandfather had played such a vital role. In that time vast social, economic, technological and political changes had taken place. Not afraid to defy convention, the Brooks had played a prominent part in shaping both Huddersfield’s industrial landscape and its intellectual and political culture. It is perhaps appropriate that Larchfield Mill, which arose from a combination of intellectual pursuits and practicality, is now incorporated into the University of Huddersfield. 1 See the obituary of George Brook in the Huddersfield Examiner, 15 January 1881. (Hereafter cited as ‘GBI Obituary’. The Obituary states that James had a son ‘Joe’. He died in May 1844 and had a son Thomas who was a surveyor for the estate. The record of the Brooks as agents for Ramsden comes from an account of the background to the ‘Tenant Right agitation’ in the Huddersfield Chronicle 18 August 1860. For this agitation, aimed at establishing security of tenure on the ground leases of the Ramsden estate, (and also for mentions of the role of Joseph and Thomas), See D.F.E. Sykes History of Huddersfield and its Vicinity’, p221-222. According to his obituary George Brook jun took part in the agitation and wrote to the Huddersfield Examiner on the matter. Since his uncle and grandfather were accused of failing to ensure that tenants had safe leases there is a certain irony in this. Local newspaper obituaries tend to be reliable at this time because they were written by people who often knew the deceased personally and who was writing for people who also had local knowledge. 2 Bradford and Huddersfield Courier 27 Feb 1827, 15 March 1827. 3 This is according to GB jun’ s obituary in 1888 when he died aged 57. This does not square with a recorded age of 21 when he married in 1854, but is confirmed by the census. 5 West Yorkshire Archive Service,Wakefield, Registry of Deeds, NM: 604:633. 6 The GB I Obituary, which refers twice to this incident, seems very careful not to explicitly state that the Starkeys sacked him. 8 see Garnett, R G. ‘Cooperation and the Owenite socialist communities in Britain 1825-45’ (Manchester 1972) for Harmony Hall particularly pp192-199 for school. 10HEW 8 Nov 1884 Does this mark the death of Sarah and where was George Jun living at this time ? 11 1853 Huddersfield Examiner 2 Apr; Huddersfield Chronicle 9.Apr libel case before magistrates, HC 16 Jul. assize hearing. ; HE 16 Apr R Brook’s letter. 12 HC 14 Mar 1857, Peter Locke King introduced several bills calling for reform of the House of Commons.This may be a reference to his 1851 County Francise Bill. ; HC 21 Mar 1857. A George Brook was one of these twelve, but as ‘jun’ is not appended to the name we can’t be sure whether it was our George. 17 1834 Factory Commissioners Questionnaire. John was in partnership with one Joseph Farrar. John’s birthplace is given as Holmfirth in the census. A John son of John Farrar, dyer, of Prickleton (Prickleden) was baptised in 1792. One of the earliest occupants of Bankgate Mill in the early 1800s was Edward Eastwood, a friend of the manufacturer William Horsfall, shot by the Luddites in 1812. In rushing for assistance Eastwood was thrown from his horse and received fatal injuries. 18 HEW 26 Aug 1871. premises to be let John Farrar machinery to be sold, including four pair of mules total 2040 spindles; 1871 HEW 23 Sep: Mill taken by J Brierley, (formerly of Old Corn Mill) and fitted up with new machinery. 20 HE 16 Feb 1901, mill sale . HE 28 Jan 1888 Obituary GB II. Colne Road: the road which runs parallel with the River Colne from Folly Hall. to the bottom of Queen Street South. Firth Street runs from the bottom of that street to Aspley. 21 HC 2 May 1868. 23 HEW 28 Oct 1871; HC 18 Oct 1871. 24 HC 7 Dec 1872. 25 HC 22 and 29 Jun 1872. 26 HC 16 Nov 1872. 27 HEW 14 Sep 1917, HEW 2 Sep 1922; HEW 28 Feb 1925 for Seth L Mosley’s recollections of George Jun. 28HEW 15 Nov: 1873.Read Holliday himself had by now retired to Harrogate (Thanks to David Griffith for this correction). 29 HEW 11 Jul 1874 HEW 6 Mar 1880. In 1875 Larchfield Mill workers had themselves collected funds totalling over £7 for the lockout women heavy woollen weavers of the Dewsbury area (Leaflet of strike/lockout Committee in Ben Turner papers, Huddersfield LHL (DD/ET), Dewsbury 5 April 1875. 31 HE 25 Jul 1868, indicator theft. 32 HEW 1917 Apr 21; Ptarmigan. GB Jun also played a part indirectly in the making of another naturalist. In footnote 19 I have referred to the link with Muker and Richard Kearton. In 1882 Kearton was asked to assist a guest of George’s out on a shoot – Sidney Galpin, son of Thomas Dixon Galpin of the firm Cassell, Petter and Galpin. As a direct result of this Kearton was set on as office boy at the London publishing house, which eventually led to his first foray into nature writing. Kearton op. Cit. P. 75 et seq. 33 Mr Ben Blackden’s research. 35 In the census there are three Gissing brothers listed. 36 Naturalist April 1893 pp353-355. (Obit GBIII/2); G T Porritt’s list of Yorkshire Lepidoptera. This was republished in 2011 by Butterfly Conservation Yorkshire and the YNU. 39 HEW 13 Oct1877: YNU meeting. HEW 19 Jan 1878 HLSS. 40 HEW 9 Oct 1880: HLSS, Ann Mtg. Rept. 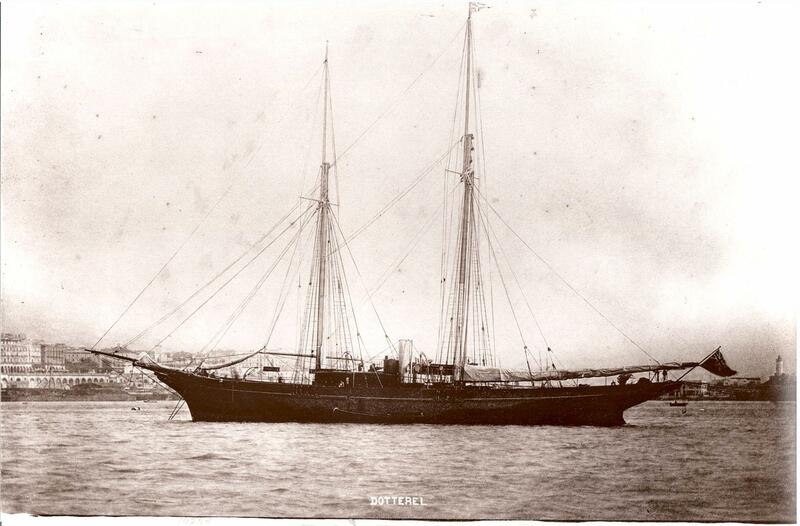 41 Darwin, C. R. 1880. [Letter of thanks to the Yorkshire Naturalists’ Union]. The naturalist 6, No. 65 (December): 65-68. 45 The name Fernbrook first occurs in 1877 in an account by the co-operator G J Holyoake. While visiting Huddersfield to open Marsh Coop he stayed at Thornton’s Temperance Hotel and was invited to dinner at Fernbrook, where he enjoyed ‘good salmon and good trout’. HC 2 Jun 1877, thanks to David Griffiths for this reference) ). Fernside appears to be an alternative and perhaps earlier name for the house (later aka 4, Murray Road). 46 The biography of Frank Buckland a pioneering expert on commercial fisheries who was directed to inquire into the origins of ‘the formidable disease’ of 1877-1878 and the fact that ‘it was shown to be a fungoid growth attacking the fish while in fresh water’, but George (nor anyone else) is credited with the discovery. ‘The Life of Frank Buckland – by his Brother –in-Law, George c. Bompas’ 1885. p.376. 47 Details of GB IIIs children are from Ben Blackden’s research. 48 Unitarianism has been referred to as ‘a feather bed to catch a falling Christian’. It could equally be a feather bed to catch a falling secularist. The Unitarians didn’t believe in the Trinity or the divinity of Christ and saw social reform as a moral duty. 49 YFT 19 Jul: HEW 15 Jun 1889. 50 YFT 16 Jan; YFT 23 Jan; HEW 9 May1891; The manager Mr Cairns spoke at a presentation ceremony in August that year when Samuel Jaggar, a traveller for the firm (and husband of Honley historian, Mary Jaggar) was awarded a marble and bronze clock when he left to take a job in Stroud. An Albert Beaumont, F W Dearden, D France and D Quarmby are also mentioned, either management or other travellers for the firm. HC 1 Sep 1891. Thanks to Peter Marshall of Honley for this reference. 51 HC 29 Jul 1893. 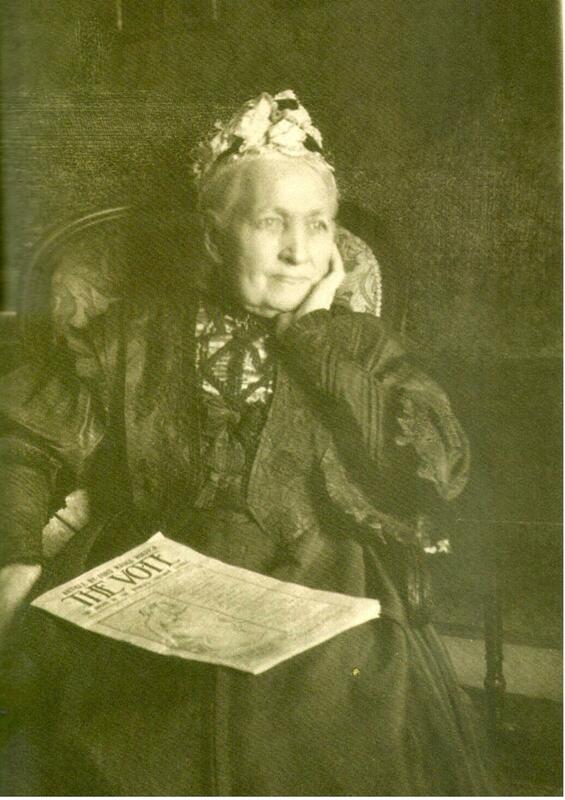 52 HEW 16 Feb 1901..
55 Nicola Crichton-Brown Deltroit and the Valley of Hillas Creek: A social and environmental history. (Melbourne 2012). Pp.183-195. According to this, John was joint beneficiary of a trust fund under his father’s will amounting to £118,000, making him the equivalent today of a multi-millionaire. 56 Mr Ben Blackden’s research; HEW 23 Sep1911: Was this in fact George jun’s collection or the remainder of his son’s. EH Lithic Record No. EH Stray Lithic Record No. 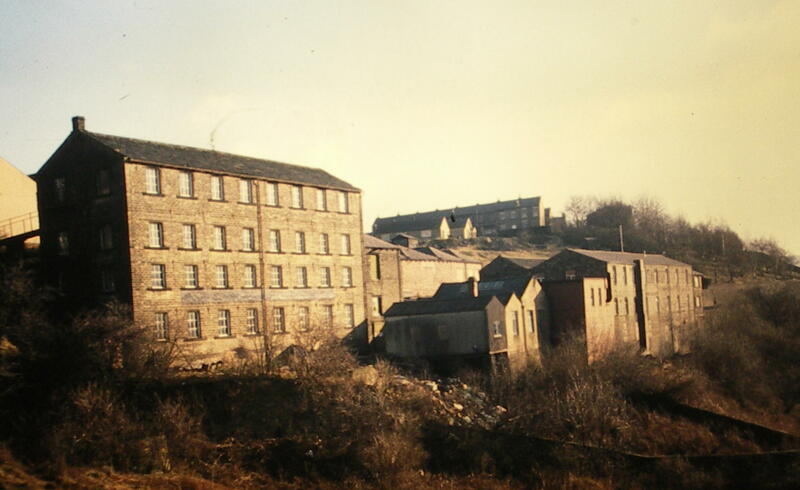 A steam-powered woollen mill constructed in 1865-6 as part of the industrial expansion in land south of the town, north of the River Colne and beside the Huddersfield Canal (RCHME, 1987, p.1). George Brook Jnr. took the lease of the land on which Larchfield Mill was to be built in c.1865 and by 1867 was recorded as woollen manufacturer of Larch Mill (the first and only reference to it as such) in 1867 (RCHME, 1987, p.1). The mill was a steam powered multi-storey structure set at the rear of the site, immediately adjacent to the canal, in 1889 storeyed sheds were added to the north east of the mill. Whether the premises were initially used for weaving remains unknown. By 1886 Brook was selling looms although it is not clear whether there were use on this site or not (RCHME, 1987, p.1). George Brook continued to appear in directories, where he was listed as a manufacturer of either fancy woollens or woollens and worsted from 1870 until the early 20th century (RCHME, 1987, p.2). There was certainly weaving on the site by 1891 when a dispute with weavers is recorded (RCHME, 1987, p.1). A valuation of 1896 recorded a ‘mill, engine, warehouse, shed, tentering engine, burling rooms, and a grease works’ (RCHME, 1987, p.1). The mill is five storeys high and 16 bays in length by four wide, with a double span roof. The mill was not initially powered by an engine house; instead there was a corner engine house, which rose through storeys in the northern corner of the mill. Its size, shape, and position being appropriate to a steam engine of the 1860s. 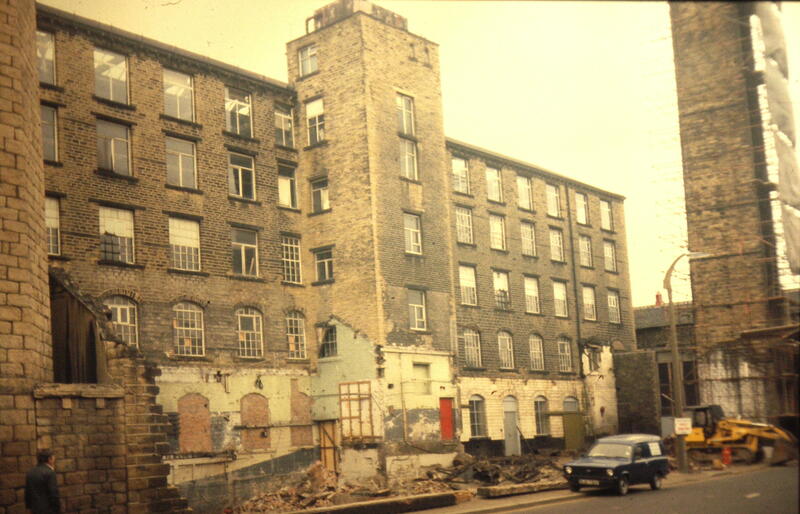 A boiler house (demolished) was located between the mill and Firth Street (RCHME, 1987, p.2). The storeyed sheds located at the north east end of the site are of two storeys over a basement and were built in three stages successively of sixteen, eight and twelve bays under a pitched gable roof (RCHME, 1987, p.2). Briden (Woodhall Planning) undertook an assessment of the architectural and historic interest of one of the weaving shed on Behalf of the University of Huddersfield in 1996. George Brook Left the mill in the first decade of the 20th century and was succeeded by the Huddersfield Corporation and became occupied by a number of companies, the main one being Shaw Bros. Ltd. (there by 1908 (RCHME, 1987, p.2). ASWYAS undertook photographic survey and building recording of Larchfield Mill in 1997 and a photographic record was also made for the weaving sheds in 2000. Desc.text English Heritage. ‘Larchfield Mills’. Listed Buildings Online (date listed: 22/11/1991).